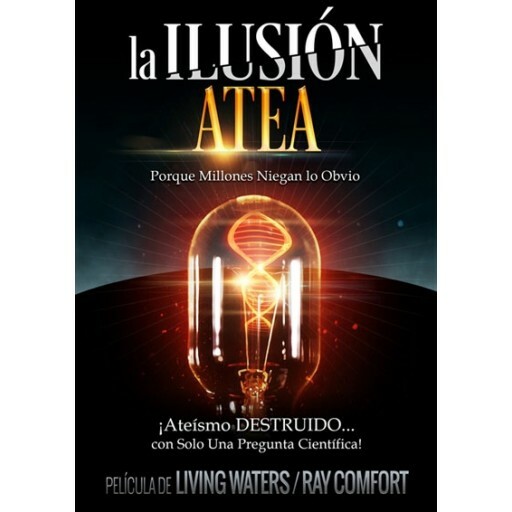 Living Waters creadores del programa de televisión galardonado “Los Pasos del Maestro” y otras producciones tales como “180” y “Evolución vs. Dios”, ahora presentan una poderosa producción titulada “La Ilusión Atea”. From Living Waters, creators of the award-winning TV program "The Way of the Master" and the hit movies "180" and "Evolution vs. God," comes the powerful film "The Atheist Delusion." Executive produced by TV co-host and best-selling author Ray Comfort (Hell's Best Kept Secret, Scientific Facts in the Bible). Having to prove the existence of God to an atheist is like having to prove the existence of the sun, at noon on a clear day. Yet millions are embracing the foolishness of atheism. 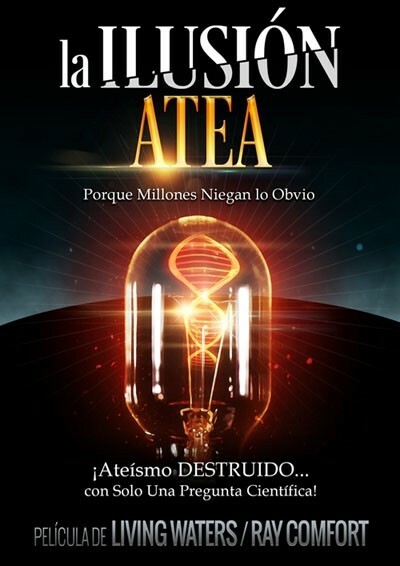 "The Atheist Delusion" pulls back the curtain and reveals what is going on in the mind of those who deny the obvious. It introduces you to a number of atheists who you will follow as they go where the evidence leads, find a roadblock, and enter into a place of honesty that is rarely seen on film. "Check out 'The Atheist Delusion'! Not only will it make you think, but it will confirm that there is a God who created and loves each of us! Powerful!" ALEX KENDRICK, Director, "War Room" & "Courageous"
"Classic Comfort mixed with high-resolution logic, breath-taking creation, topped off with quality humor and compassionate gospel interviews." KIRK CAMERON, Actor, "Fireproof" & "Growing Pains"
"Compelling! Engages atheists like never before." KEVIN SORBO, Actor, "Hercules" & "God's Not Dead"